LONG-TIME servant Brendan Whitecross and 2015 first-round draft pick Kieran Lovell won't continue their AFL careers at Hawthorn next year. The Hawks announced on Monday morning the pair would not be offered new deals ahead of Wednesday's list lodgement deadline. But promising midfielder Dan Howe has re-signed for two years, as AFL.com.au forecast in August, while Ryan Schoenmakers and David Mirra are set to commit for one season each. Howe, who turns 23 in December, finished the home and away season with the sixth-best kick rating in the AFL and No.1 among midfielders at plus-8.1 per cent. Ruckman Marc Pittonet will also continue his career at Hawthorn, while the Hawks are yet to publicly lock in the future for Ricky Henderson, Teia Miles and Harrison Jones. 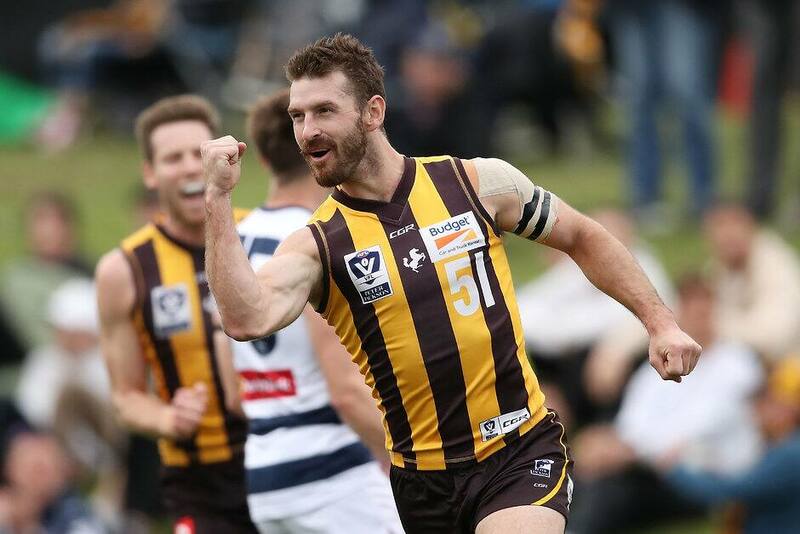 Whitecross, 28, and Lovell, 21, finished their brown-and-gold careers with a VFL premiership in September, playing important roles for Box Hill in the Grand Final victory over the Casey Demons. Whitecross played 111 games for Hawthorn, but only 27 in the past five seasons, and missed out on playing in the club's four flags in his time, largely because of two knee reconstructions. Lovell also had his share of injury troubles, including a shoulder injury that ruined his 2017 season, and he was unable to add to the two career matches he played two years ago. They join Jonathan O'Rourke, the No.2 selection in the 2012 draft, Kurt Heatherley and Dallas Willsmore in being delisted, on top of four-time premiership star Cyril Rioli retiring. Ty Vickery, who retired at the end of last year, also officially comes off the club's list, while Ryan Burton (Port Adelaide) and dual premiership-winning utility Taylor Duryea (Western Bulldogs) were traded. Hawks football boss Graham Wright thanked Whitecross and Lovell for their contributions to the club. "Brendan has spent a long time at our footy club, having joined the Hawks in the 2007 draft. He is a life member and an amazing clubman," Wright said. "Unfortunately for Brendan, his career has been interrupted with injuries, however he has always shown great resilience and determination in the face of adversity. "We are rapt that he was finally able to get some reward for all his hard work and finish his time at the Hawks with a VFL premiership.